Panic! At the Disco performed “Say Amen” on The Ellen Show over the weekend. Their high-energy performance was complete with inspiring vocals and incredible dancing on stage. Panic! At the Disco performed their spot on Ellen to promote their new album, Pray For The Wicked and their current tour. Their new album is set to premiere on June 22nd. Panic! At The Disco play Power Slinkys and Bass Hybrid Slinkys. 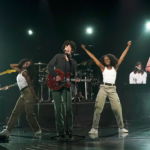 Maroon 5 also made an appearance on The Ellen Show this week, playing their new single, “Wait.” The band has announced that they will be playing on The Today Show’s Citi Concert Series this summer. You can catch James Valentine performing here with his Signature Ernie Ball Music Man Guitar! Maroon 5 play Medium Light Aluminum Bronze Acoustic Strings. The third performance on The Ellen Show this week came from Leon Bridges who performed his new track, “Bad Bad News”. Check out the soul singer’s performance below. The “Bad Bad News” track comes from Leon Bridges’ new album, Good Thing, which also released this past week. Leon Bridges uses Classic Rock ‘n Roll Nickel Wrapped Strings, Regular Slinkys, and Glass Guitar Slides. Jade Puget of AFI and Billy Corgan of The Smashing Pumpkins played their collaborative track, “Archer” live on The Late Late Show with James Corden. “Archer” is from Billy Corgan’s album, Ogilala, which was released in 2017. 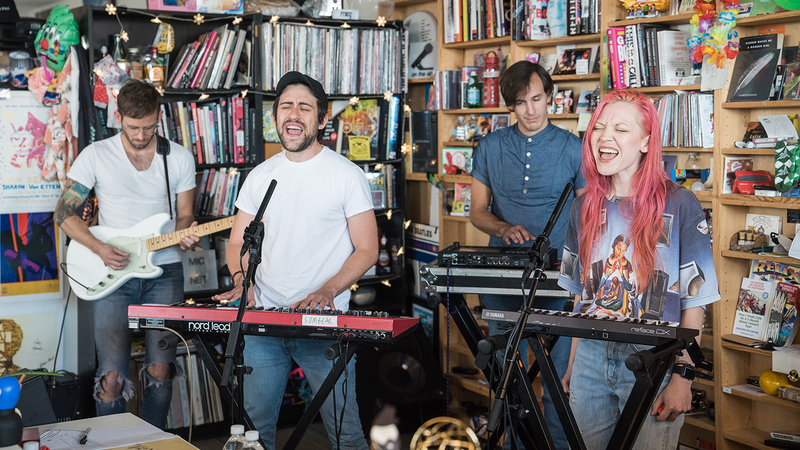 Check out the intimate performance for the Stage 59 audience below. If you love AFI, you can catch them on their upcoming tour beginning in late July. Jade Puget plays Regular Slinkys and Power Slinkys. 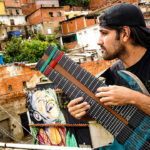 Ernie Ball has also featured James Puget in an episode of String Theory. You can watch the entire film below. Jimmy Eat World has premiered two new songs along with official music videos for both. 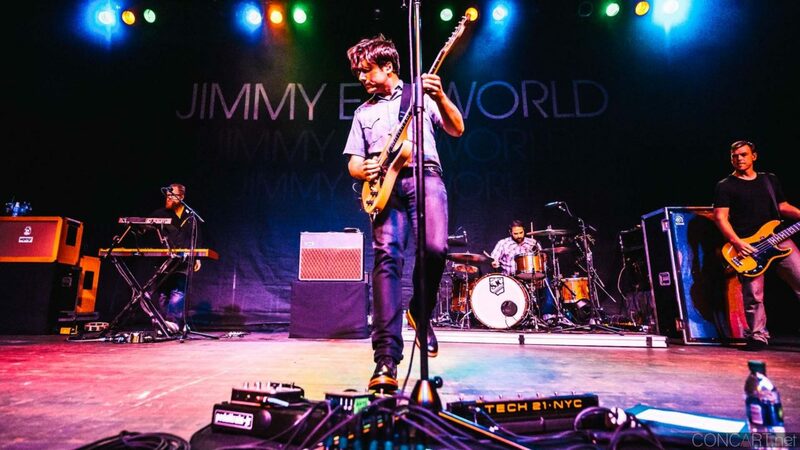 You’ll recognize the classic Jimmy Eat World sound from their single “Love Never” and enjoy the acoustic-based track “Half Heart” which both showcase the evolution of the band through the twenty-five years that they’ve been playing and touring together. Watch both videos below and make sure to check out Jimmy Eat World’s U.S. tour dates to find a venue near you. Guitarists Jim Adkins and Tom Linton play Medium Gauge Strings with Wound G and Medium Earthwood 80/20’s. 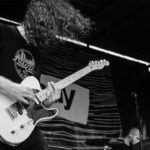 If you haven’t already, watch one of the latest Ernie Ball String Theory films featuring singer-songwriter Jim Adkins. The Used released their official music video for “The Nexus” off of their album, The Canyon this week. The Canyon was released in October 2017 and is the band’s seventh studio-recorded compilation. The Used is also currently on their U.S. tour. The Used play Coated Power Slinkys and Medium Earthwood 80/20’s. Alice in Chains has officially released their first new song in five years! “The One You Know” also came with a new music video. This track is the first single to be released from their highly anticipated album expected to hit fans later in 2018. Alice in Chains play Regular RPS Slinkys and Paradigm Phosphor Bronze Acoustic Strings. Frank Turner premiered his new video for “Little Changes” off of their album, Be More Kind which was released on May 4th. Be More Kind can be streamed and purchased wherever you get your music. Frank is currently playing live gigs in the U.K. and will also hit the U.S. this June. Frank plays Not Even Slinkys, Medium Earthwood 80/20’s, and Super Slinky Bass Strings. Now, Now has released, “MJ” which is a teaser-track for their upcoming album, Saved. “MJ” joins other pre-released singles from this album, like “SGL” and “AZ”. Follow this link to listen to these singles and be among the first to hear Saved, when it premieres on May 18th. Now, Now uses Regular Slinkys, Power Slinkys, and Regular Cobalt Bass Strings. Against Me! 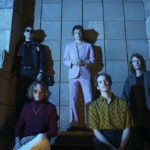 has announced the dates for their upcoming U.S. summer tour. 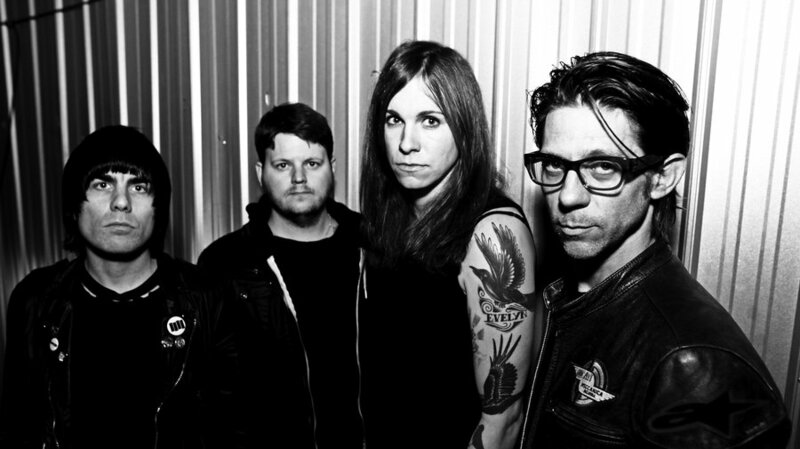 You can check availability and purchase tickets on the Against Me! website. Against Me! relies on Power Slinkys and Bass Hybrid Slinkys to produce their powerful tone. The Buttertones are going on their Midnight in a Moonless Dream tour which kicks off in Las Vegas this July. Make sure to check out their Instagram post for tour dates. 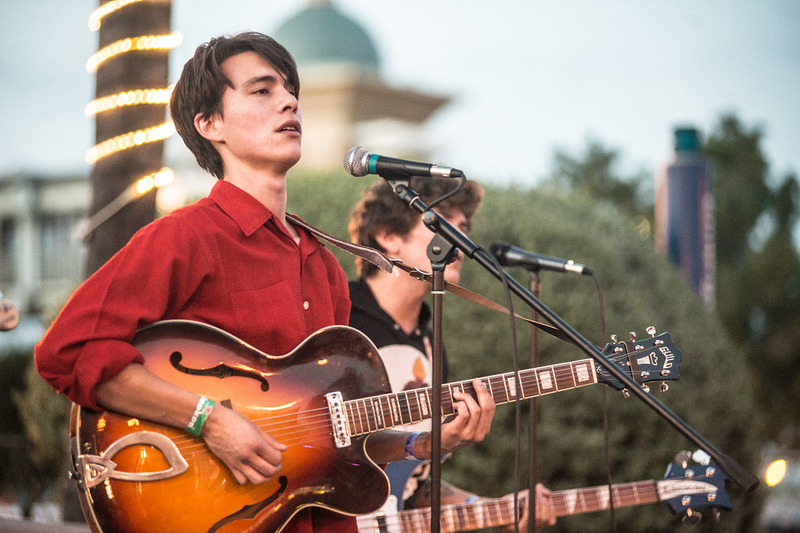 The Buttertones use Ernie Ball Not Even Slinkys to hit their lower tuning combinations. Summer Salt is beginning their U.S. summer tour this June. See if they’ll be coming to a city near you on their tour announcement post here. Summer Salt play Cobalt Power Slinkys. Buddy Guy performed and interviewed on David Letterman’s Netflix special, “My Next Guest Needs No Introduction” with Tina Fey which premiered on May 4th. Make sure to watch the entire episode and watch the full trailer here. Buddy Guy plays Power Slinkys, Earthwood Rock and Blues 80/20’s, and Hybrid Cobalt Bass Slinkys. Buddy Guy is also featured in Ernie Ball: The Pursuit of Tone. An AT&T original documentary series documenting Buddy’s historic career. Check out the clip below to see the opening sequence of the film and get an exclusive look at the story behind one of blues’ most influential guitarists. The cruise ship music festival, Keeping the Blues Alive at Sea, announced their official lineup this week. 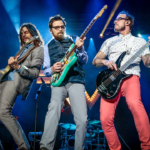 From February 25th – March 1st, 2019 you can join Ernie Ball artists Joe Bonamassa, Kenny Wayne Sheperd, Larkin Poe, and many more aboard the Norwegian Pearl which travels from the Florida coast of Tampa out to Grand Cayman. Don’t miss out on this unique experience and check back in with the Keeping the Blues Alive at Sea website to secure your tickets.